Comments: BRAND NEW 100% Money Back Guarantee. Shipped to over one million happy customers. Your purchase benefits world literacy! 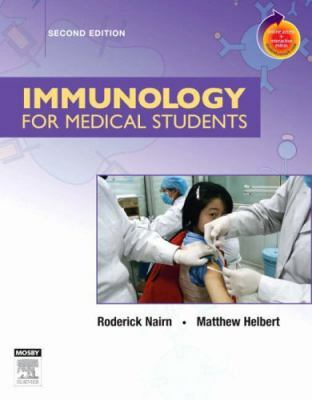 This concise and dynamic textbook takes the student through the complex concepts in immunology with the help of clear and explanatory artworks and a range of extensive clinical cases.Nairn, Roderick is the author of 'Immunology for Medical Students ', published 2006 under ISBN 9780323043311 and ISBN 0323043313.